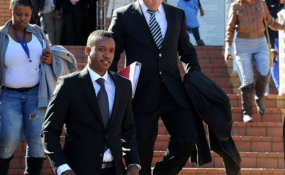 The culpable homicide case against Duduzane Zuma was postponed to March 26 in the Randburg Magistrate's Court on Thursday. Zuma faces two charges of culpable homicide and a count of negligent driving relating to a car crash on February 1, 2014, on the M1 highway in Gauteng. Another passenger, Nanki Jeanette Mashaba, who was injured in the accident, died in hospital several weeks later. Wearing a grey suit, sky-blue shirt and navy tie, Zuma indicated that he understood the ruling, and would make himself available. Former president Jacob Zuma was in court to support his son. The media have been ordered to apply to cover the proceedings, and that application will be heard on March 14.